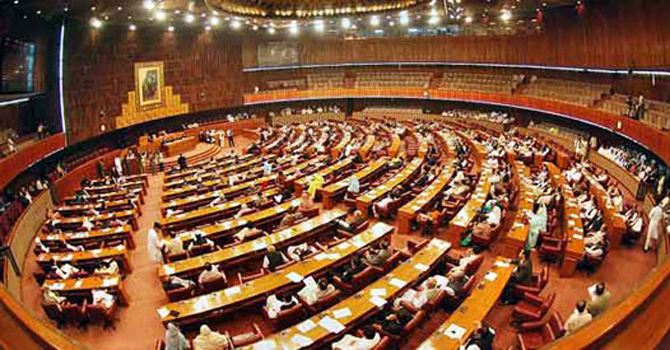 ISLAMABAD (92 News) – Pakistan Tehreek-e-Insaf has boycotted the National Assembly session on Friday, despite the withdrawal of motions to de-seat the PTI members. Earlier, the Muslim League-Nawaz requested the Muttahida Qaumi Movement and Jamiat Ulema Islam-Fazl to withdraw motion to de-seating. Pakistan Tehreek-e-Insaf Deputy Parliamentary leader Shah Mehmood Qureshi had announced that the PTI members will only return in the House after the withdrawal of motions.